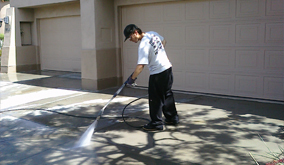 At AZ Power Wash Pros rust removal is an art and a science that our technicians are taught. Just look around and you will notice rust stains all over in Queen Creek. 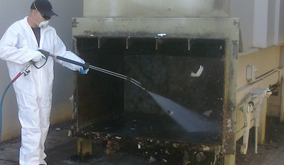 Each case of rust removal, fertilizer rust stain removal, irrigation rust stain removal and orange battery staining removal is a little different. Rust staining on concrete is one the most difficult concrete stains to remove. Most concrete surfaces are porous and rust stains can be up to 1/16” deep in the concrete. 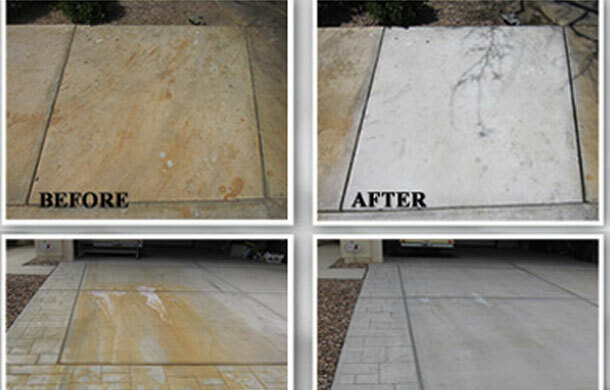 Orange battery acid is a flash acid burn that looks almost identical to a rust stain in appearance, but is very different; if your battery acid is white, this can travel through the entire slab of concrete and unfortunately there is not cleaner that can remove the white stain. AZ Power Wash Pros technicians have been trained to recognize the different types of concrete rust stains and how to remove the rust stains without surface damage to the concrete at your Queen Creek property. Our concrete rust removal process will restore your concrete, as well as the rust spot to ensure an even appearance and deep cleaning. Experience combined with proper training and cleaning techniques make AZ Power Wash Pros the right choice for your restoration job. 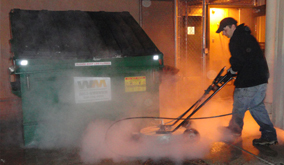 Call AZ Power Wash Pros for commercial rust removal services in Queen Creek, Arizona.